Automatic Call Distribution Systems and ACD software. 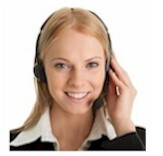 ACD (Automatic Call Distribution) systems are the heart of inbound call centers. ACD systems are call routing utilities for incoming calls and can route calls originated by our predictive dialer to the next available agent. Our PACER (digital) and WIZARD (analog) phone systems come with a complete automatic call distribution system for call routing. The PACER and WIZARD ACD phone system with automatic call distributor can route calls based on the dialed phone number (DNIS). Additionally, our phone system IVR software can intelligently route calls using complex condition logic. Using the caller ID and skill based logic, calls can be routed to the most qualified service agent that is available. Our IVR programs can also allow you to build a self help contact center that requires no phone agents to be present to provide your callers with important information. Our phone system conforms to way you do business. Contact us today at Call Database for a FREE analysis and quote and to learn more about our automatic call distribution (ACD) systems. 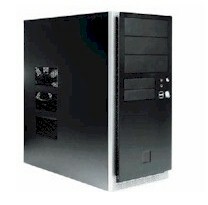 Database Systems Corp. provides an affordable and expandable analog phone system called the WIZARD. This system comes with built in ACD and IVR capability. This 4 line analog phone system includes our IVR Wizard software or comes optionally with our comprehensive software development toolkit. Program your own system or our professional staff can provide you with a custom phone application. These applications can be easily ported to our digital T1 IVRS (IVR system) called the PACER when your call volume requires a larger system. DSC provides IVR software including our IVR wizard development tool for creating interactive voice response applications. This wizard guides you through each step when defining your IVR applications. Simply record your phone prompts and fill in the blanks. Telephone surveys can be put together quickly in this simple fashion. What is an ACD System? A traditional ACD system processes incoming telephone calls on a first come first serve basis. The system typically answers each call immediately and, if necessary, holds it in a queue until it can be directed to the next available acd call center agent. When an agent becomes available, the agent serves the first caller in this queue. Our PACER and WIZARD ACDS systems do far more than simply process incoming calls in sequence. Our ACD software manages multiple call queues, keeps a log of call group activity, monitors calling activity, analyze queues, agents, hold time and much more. Depending upon user defined business rules, our automatic call distribution systems create different processing paths for different callers. For example, individuals calling a special number can be routed for priority handling. Customers placing orders can be distinguished and given a higher priority than those seeking general information. However a call center�s business rules may be configured, the ultimate goal should be to serve every caller quickly and efficiently to meet customer service expectations. With our optional IVR software, those who do wait in an ACD queue can be reassured with recorded announcements, music, or weather and news channel information using our Text To Speech Software. Thresholds can also be configured into the system to minimize delays and divert calls to alternative queues ensuring no person waits too long. An important feature of today's technology advancement is the ability for employees to work from home. Database Systems Corp. has developed a family of telecom products that facilitate and promote this capability. Our automatic call distribution system and ACD services fully supports remote agents. Now your workforce can be significantly expanded with the addition of work at home employees. The economic savings and environmental advantages are significant. To obtain additional information about our remote agent capability, you may view our Telecommuting Software page. Contact DSC to learn more about our automatic call distributor and hosted ACD services.